The OPTIWIN MOTURA lifting/sliding door reflects a timeless and elegant design with its narrow frame and large glass surfaces. The subdued design virtually disappears and provides nearly unlimited views, producing a direct connection between indoors and outdoors. The natural wood of OPTIWIN MOTURA creates a warm and cosy atmosphere. As with all OPTIWIN windows systems, natural oils and thin or thick glazes are available for individualised interiors. The OPTIWIN MOTURA lifting/sliding door works with all other OPTIWIN systems: It has the same shadow gaps, is available in the same wood types and surfaces, and can be outfitted with matching furniture. Wood construction from OPTIWIN fulfils the most stringent requirements for energy efficiency despite its slender design. OPTIWIN MOTURA achieves Uw values as high as 0.62 W/m2K. This has earned the lifting/sliding door certification as an A-component from the Passive House Institute of Darmstadt. The frame of OPTIWIN MOTURA can be insulated up to the sash. This underscores its minimalist appearance because only the narrow wood of the sash is visible from outside. But this also optimises heat insulation at the important connection to the building. The high-quality design and meticulous machining results in extremely high airtightness and waterproofing against driving rain, particularly in the sensitive area of the barrier-free threshold. 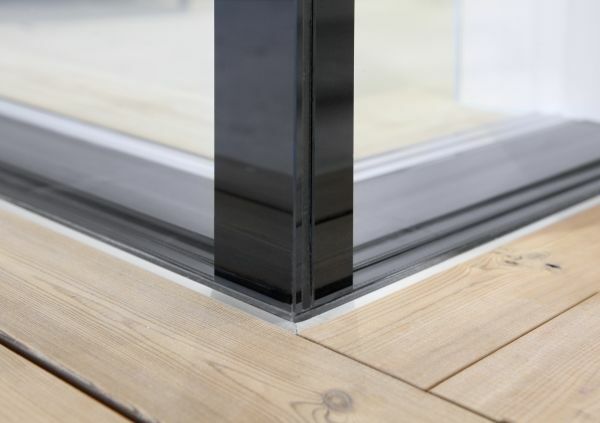 OPTIWIN developed the threshold out of high-tolerance fibreglass and provided it with a second drainage level. The panes of glass used in OPTIWIN MOTURA are bonded to the frame. 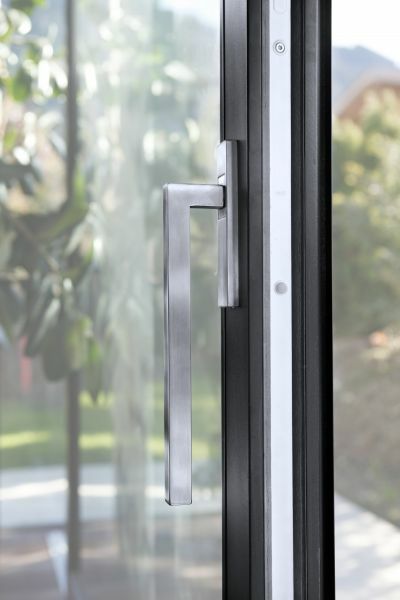 This gives the lifting/sliding door extraordinary static stability and minimises maintenance. In addition, the glazing protects the wood frame from all types of weather damage. The lifting/sliding door is very smooth moving, highly functional, and very easy to use, even in large formats. Technical and aesthetic highlight: The lifting/sliding door has no threshold and is available with edge-to-edge glass corners. An enormous range of grips and furniture are available for all OPTIWIN systems.